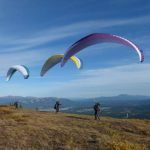 Tandem Flights are a great way to get a taste for flying to see if the sport is for you or to get this crossed off your bucket list. Have you ever had flying dreams? Make your dream come true – this is the fastest way to experience and learn about the paragliding. Paragliding is very weather dependent. Tandem Flights need to have ideal wind speed and direction to minimize risk. The weather in Yukon can be unpredictable and while we do want persons to experience the joy of flying, safety is paramount. We will only fly when conditions are suitable. 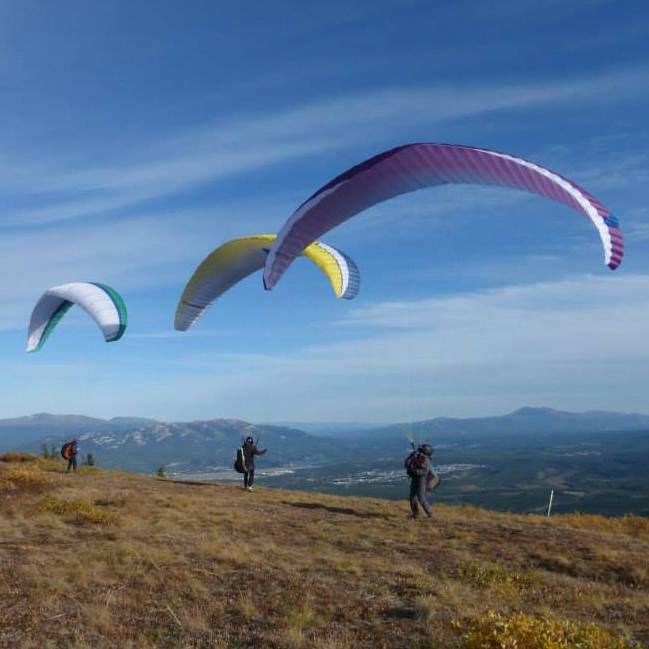 Mountain Tandem – experience the Yukon by hiking up and flying down on one of our scenic mountainous flying sites like Grey Mountain, Jakes Corner, Tally-Ho, Ibex Valley, or Mount Vista. Requirements: Bring gloves, suitable footwear and clothing, Weight range between 80-220 lb. (35 – 100 kg), No knee, or back problems.